If you are a photographer, videographer or marketing consultant for real estate professionals, we can make your life a whole lot easier! We have developed a turnkey system to help display your gorgeous work with loads of extras to help your clients market their listing. 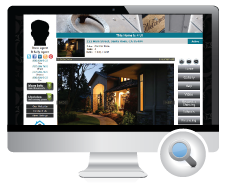 With our MLM pricing, you can showcase any number of client listings, each with their own unique property website. Our sites shine with professionally shot photos and videos - and adding them to our system is very easy to do!